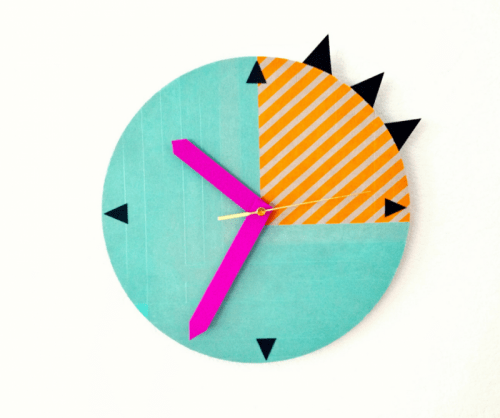 Creative clocks are the right pieces to make an accent and you can make one easily! Let’s craft this idea from unleashcreative.com.au. 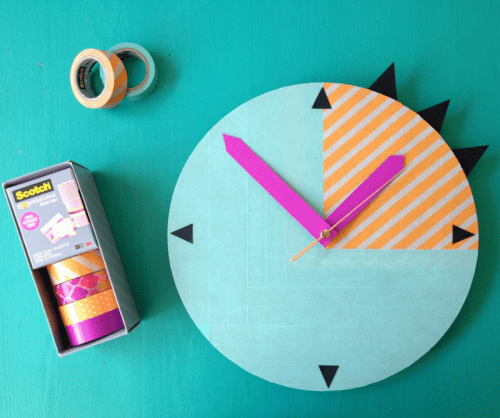 You’ll need washi tape in a range of colors and patterns, a round or square pre-cut MDF shape, a clock mechanism, clock hands, thick cardboard, a scalpel knife, a drill, black card stock, a grey-lead pencil and a ruler. 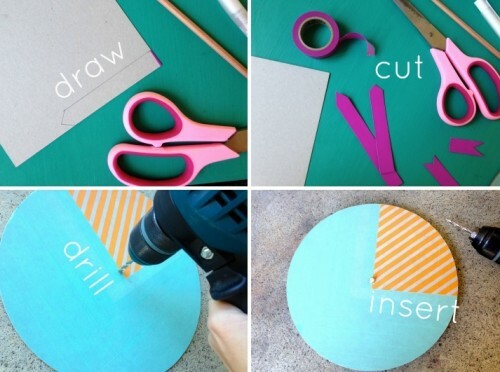 Mark out the center of your clock face where your mechanism will eventually be mounted. Mark the center with a grey lead pencil. 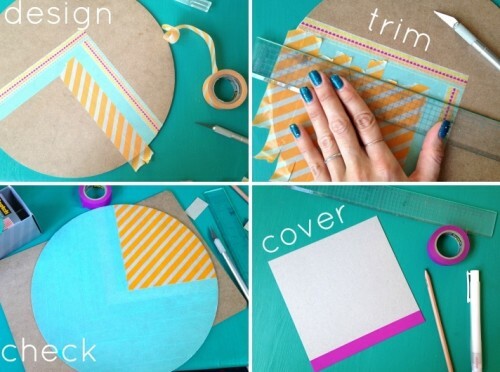 Next, you’ll want to design a pattern. If you’re putting down tape parallel, make sure that you go slowly to ensure there are no obvious gaps between the strips of tape. Head over to unleashcreative.com.au to keep reading the tutorial.